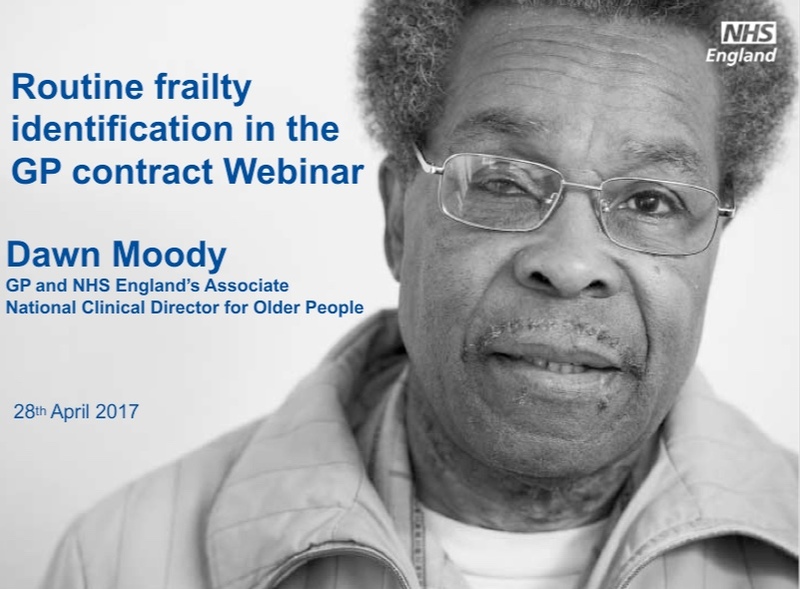 The webinar formed as an introduction to help with implementation of routine identification of frailty in the GP contract for 2017/18 and discussed the reasons for the change and sought to answer any questions about the implementation. The webinar was hosted by Dawn Moody, a GP and NHS England’s Associate National Clinical Director for Older People. It was the first in a series of webinars, along with other resources, that are available to support implementation of the frailty aspects of the GP contract for 2017/18. Recordings of the webinars can be accessed here and further resources are available in the Older People living with frailty section of the NHS England website. Never miss a news post, sign up and have them delievered straight to your inbox.